It might be hard to imagine what it’s like for Oakland students if you’ve never been through our schools. I have friends who have dropped out, or are thinking about dropping out, because Oakland Unified, the district I attend, doesn’t have enough money to provide sufficient resources in order for us to be successful. For years, students like me in Oakland have been asking: How can we succeed when our classrooms are overcrowded and we have outdated computers, damaged textbooks, and so few desks that students have to stand or sit on the floor? 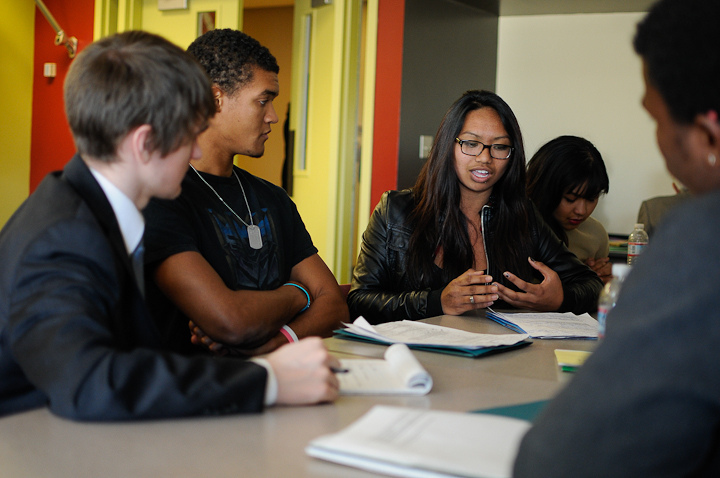 How can we succeed without enough AP classes, counselors and college prep support? In other words, how can you expect us to succeed when we’re being set up to fail? The Local Control Funding Formula (LCFF) is supposed to make sure more money goes to the schools and students who need it most – low-income students, English language learners, and foster youth. Oakland Unified has a large number of these students and will benefit greatly from it.